Whether you own a small scale industry or a huge multi-national company or you are just a real estate agent; none of you will ever want to face a bankruptcy. Bankruptcy is the state, when a business or individual loses all of its potential assets and claims itself to have become bankrupt. Before filing a bankruptcy, the filer must have ample knowledge about the types and procedures that are involved in different bankruptcies. Basically, the bankruptcy code has been divided into several chapters; each of which deals with a distinct case or issue. Not only this, these different chapters also have their own discrete interpretations, which varies from business to business. The four most important chapters of bankruptcies are chapter 7, chapter 11, chapter 12, and chapter 13. 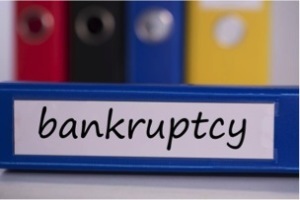 Chapter 7 is the most common bankruptcy, which corporations file. It is also called the liquidation or straight bankruptcy. As per the rules of this chapter, both the secured and unsecured debts, can be discharged by liquidating the debtor’s assets. The law states that some of the owner’s assets might be confiscated by the law making authorities; to pay-off a portion of the debt. In 2005, chapter 7 was modified. The revised version says that individuals can file chapter 7 bankruptcy only if they qualify for it. The qualification criteria say that the filers must have an annual income less than the state average. Also, the companies will not be allowed to continue any business activities during the liquidation phase. Chapter 11 bankruptcies are usually filed by large corporations, which are interested in developing an organized plan to pay-off their debts. After filing chapter 11, businesses are allotted a time limit of 120 days, in which they have to submit a workable plan. If they fail to do so, then they have to deal with the creditors directly. A major advantage of filling chapter 11 is that unlike chapter 7, companies can conduct their business dealings, without any hindrances. However, this bankruptcy is quite expensive to file, as compared to the others. Chapter 12 bankruptcy is for fishermen and farmers. They have to pay their debts from their future earnings, over a period of time. Known as the reorganization for particular individuals, chapter 13 has been designed for those individuals who have a stable and definite source of regular income; but are currently unable to pay-off their debts. If the debts lie with a pre-set dollar amount, then only an individual can qualify for chapter 13. In the processing phase of this bankruptcy, the court appoints a trustee, who makes a proper repayment plan that is acceptable by both – the creditor and the debtor. According to the plan, the debtor has to pay a fixed amount to the creditor each month, and the maximum limit to pay off the debt is 5 years. As now you know all about the types of bankruptcies, you will be able to file the most suitable one for your business if and when needed. This entry was posted in BANKRUPTCY, CHAPTER 13, Chapter 7 and tagged types of bankruptcies. Bookmark the permalink.